Buick Regal: How Does an Airbag Restrain? 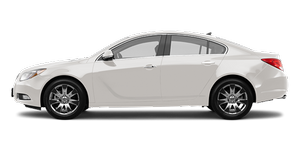 Buick Regal / Buick Regal Owners Manual / Seats and Restraints / Airbag System / How Does an Airbag Restrain? But airbags would not help in many types of collisions, primarily because the occupant's motion is not toward those airbags. See When Should an Airbag Inflate? for more information.